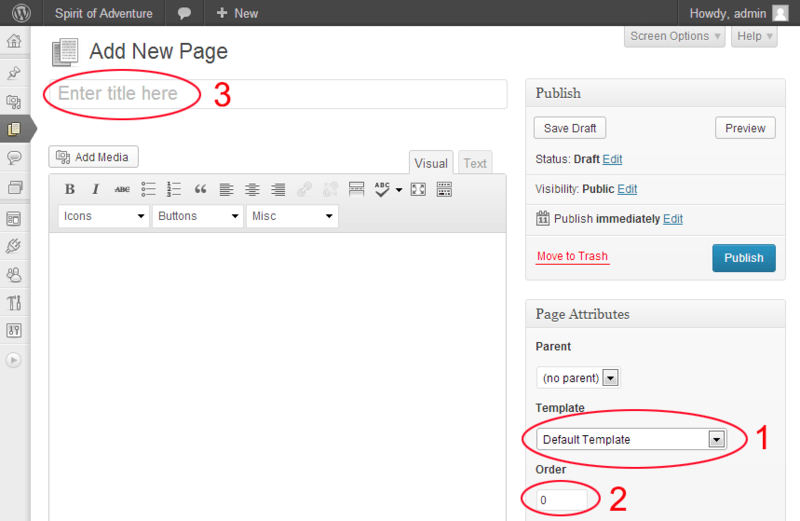 Here is the NEW PAGE section of your content management. ITEM 1 is the TEMPLATE SELECTION. Here you can choose from a mix of columns, features and post configurations (ie layouts). Note that if you leave this set to DEFAULT TEMPLATE you get a full width page with just a navigatiion menu, header and footer. ITEM 2 allows you select which order the page comes in the menu. The default is alphabetical. ITEM 3 this is where you give your page a name. It is this name that appears in the menus.